The participation to the workshop is free, but registration by 24th of November is required. Download the leaflet to our final even here. For further information, please contact Andrea Rubini. 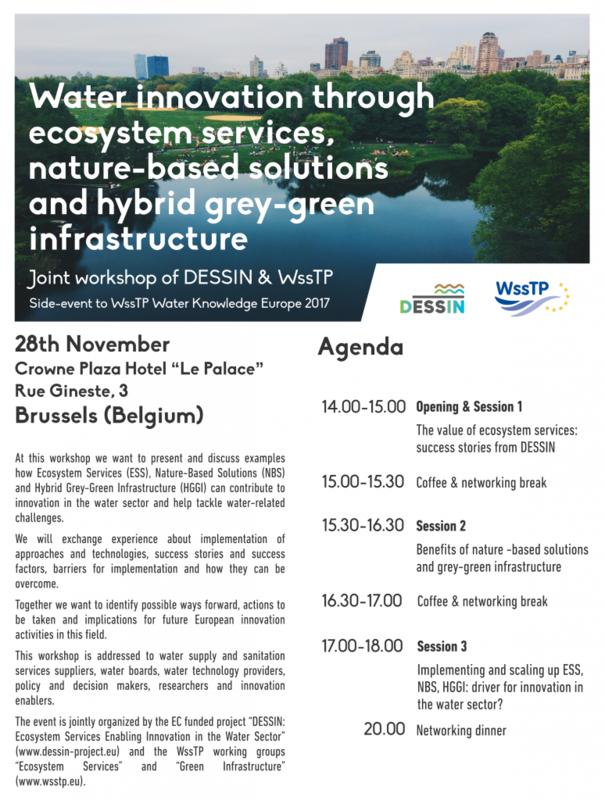 Session 3 (17:00-18:00) – Implementing and scaling up ESS, NBS, HGGI: driver for innovation in the water sector?